Yesterday I posted about some Bad Apple nail varnishes and as I stated my favourite shade was a deep hot pink shimmer called Barn. I recently had a little look through my nail varnish collection (I was painting my colour wheels and accidentally getting a bit high off the fumes!) and I discovered that I already own a dupe for this shade. 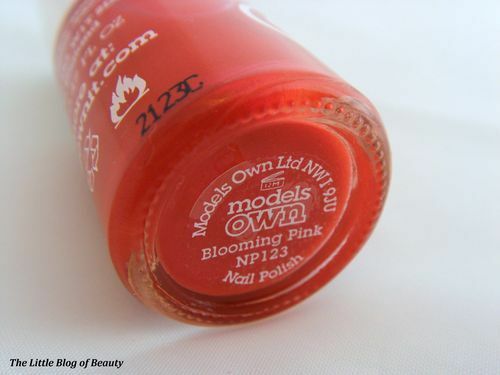 This is Models Own’s Blooming Pink from the Kaleidoscope collection. 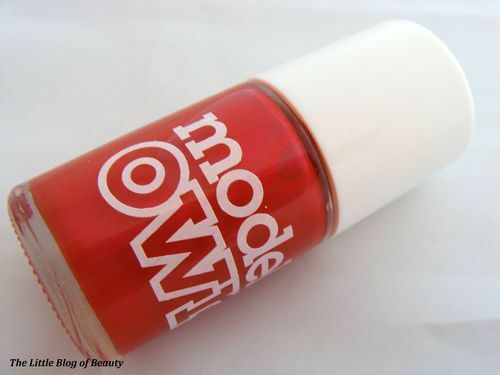 I previously only owned one shade of Models Own which I wasn’t keen on because I found it difficult to apply. However this was a pastel yellow shade and I’m aware that pastel formula’s can be quite difficult to work with, so when I was at the Clothes Show last December I decided to give them another chance and bought a goody bag that came with your choice of two nail varnishes. For whatever reason I hadn’t got round to trying these yet but when I picked up Blooming Pink to paint on my colour wheel I realised it very closely resembled Bad Apple’s Barn. As usual my camera hasn’t captured the colours properly but you can still see that they are very similar. If anything Blooming Pink is slightly darker than Barn but not by very much and they both have the same lovely shimmer running through them. 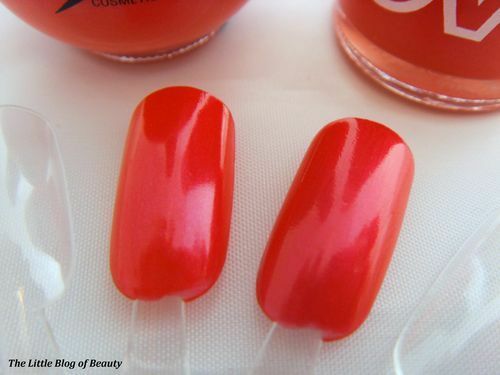 As shown in yesterday’s post Bad Apple nail varnishes are £9.95 but as I’m sure you are aware Models Own varnishes come in at almost exactly half the price at just £5. So if you liked the look of Barn in yesterday’s post I would recommend giving Blooming Pink a try.